Once upon a time there was a man who was hitch-hiking on Halloween. He was picked up by a friendly driver who asked the man where he was going. And, the man lifted his boney-skeleton hand up, then said, "To the party!" With those words he vanished! The driver never saw the man again, or at least not till he arrived at the same party. Did you like the made up ghost story? 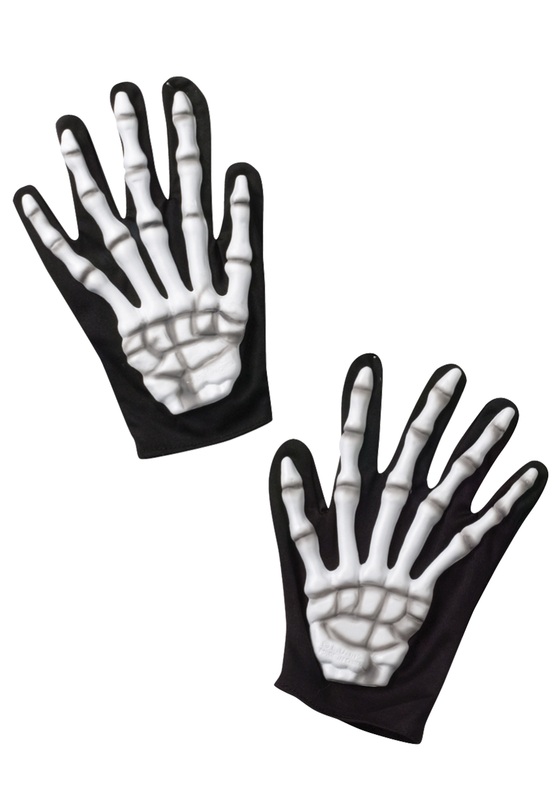 It is a good one to tell at your next costume party while you rock-out some scary Adult Skeleton Gloves! These can be worn with any sort of costume to add an extra element of spookiness. They are 100 percent polyester, and the skeleton hand is printed on the top. Make up your own ghost stories while wearing these boney gloves to impress your friends.